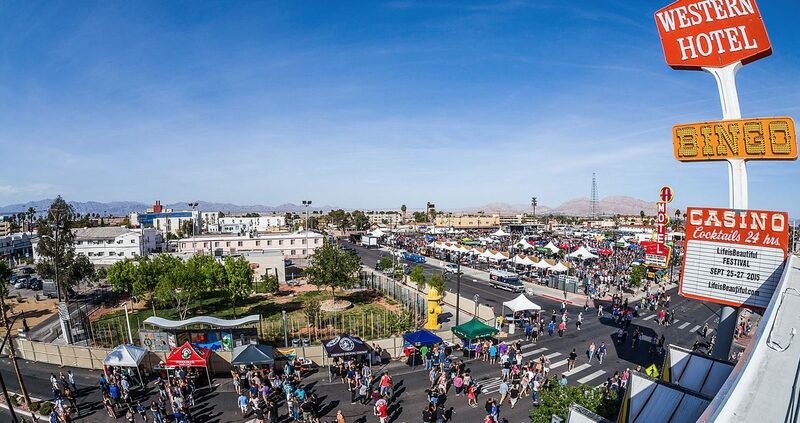 Nevada’s largest craft beer event, Motley Brews’ Great Vegas Festival of Beer, celebrated its fifth anniversary with more than 6,000 festival-goers filling the streets of Downtown Las Vegas. 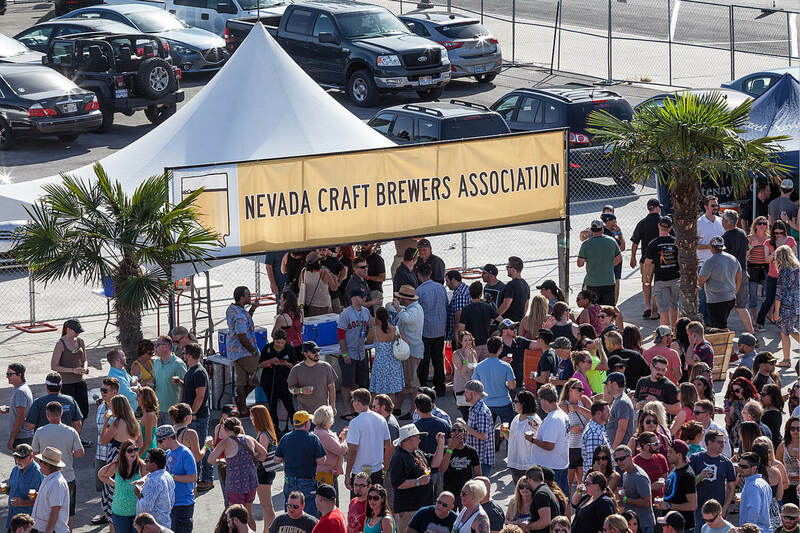 Great Vegas Festival of Beer fans line up to celebrate delicious brews served by Nevada Craft Beer Association. 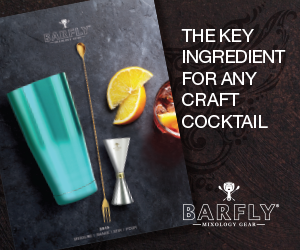 Craft beer fans indulged in an endless flow of more than 400 iconic craft brews served by over 100 breweries while indulging in craft beer-inspired dishes by some of Las Vegas’ top chefs. 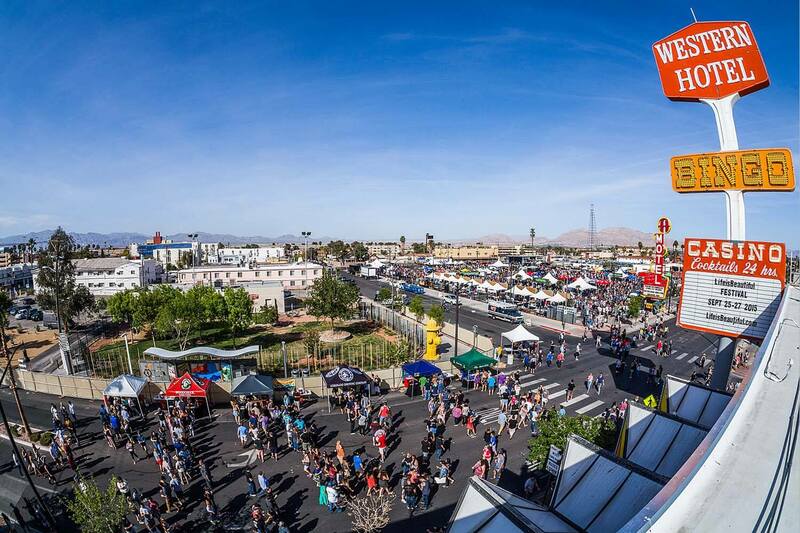 Beer lovers quickly fill the streets of downtown Las Vegas as the doors open for the 2015 Great Vegas Festival of Beer. 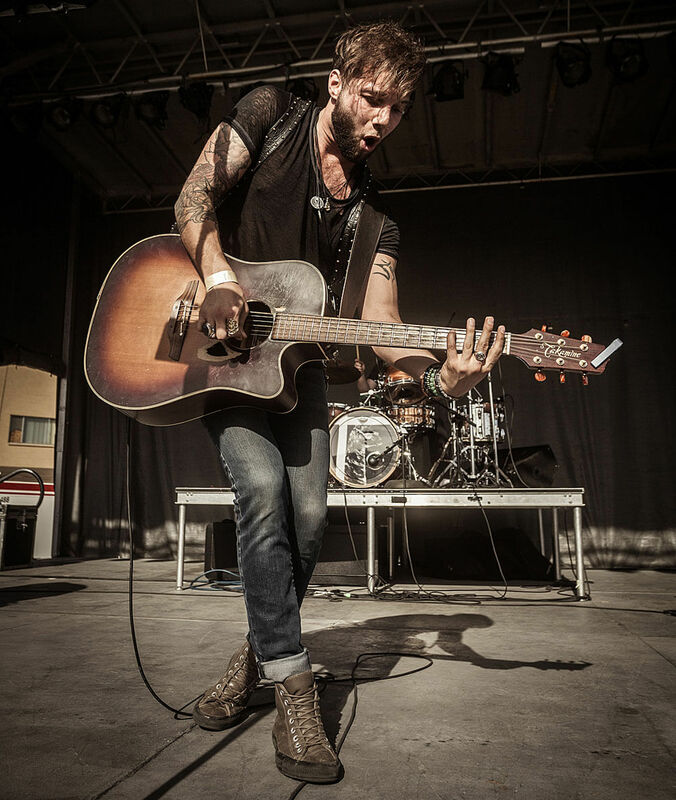 Las Vegas musician Josh Royse puts on an amazing performance during the 2015 Great Vegas Festival of Beer. In honor of the celebration, Motley Brews and CraftHaus Brewery created a specialty fifth anniversary beer, dubbed “Motley in the Haus,” which was an Xtra Pale Ale brewed with five different hop varietals. Alongside the anniversary beer, kegs were tapped by breweries from near and far, including Old School Brewing Co., Hop Nuts Brewing Co., Tonopah Brewing Co., Alpine Beer Co., Rough Draft, The Bruery, Banger Brewing Co., Deschutes Brewery, Watsach, Green Flash, Big Dog’s, Joseph James Brewing and many more. 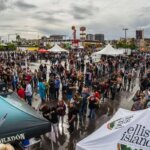 More than 6,000 beer fans celebrated the fifth anniversary of Motley Brews’ Great Vegas Festival of Beer. A fan favorite was the Gastropub, where guests indulged in mouthwatering dishes from MTO Café, DW Bistro, Stack Restaurant & Bar, Naked City Pizza, O Face Doughnuts, Nacho Daddy, TruckUBarbeque, Sausagefest, The Goodwich, Echo & Rig, Cantina Laredo and Pot Liquor. Once again, Motley Brews pushed the limits of the craft beer and culinary world with BrewLogic sessions. 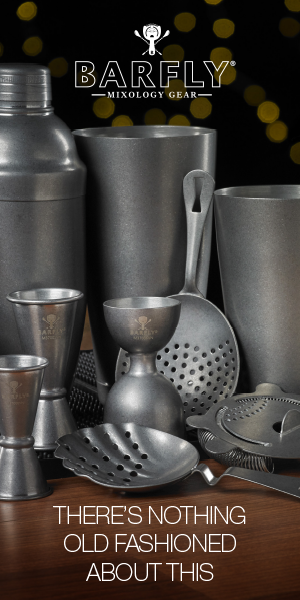 During the session, Chef Justin K. Hall showed how to make beer vinegar and Stone Brewing Co. Craft Beer Ambassador Bill Sysak paired decadent doughnuts with the perfect complimentary beers. 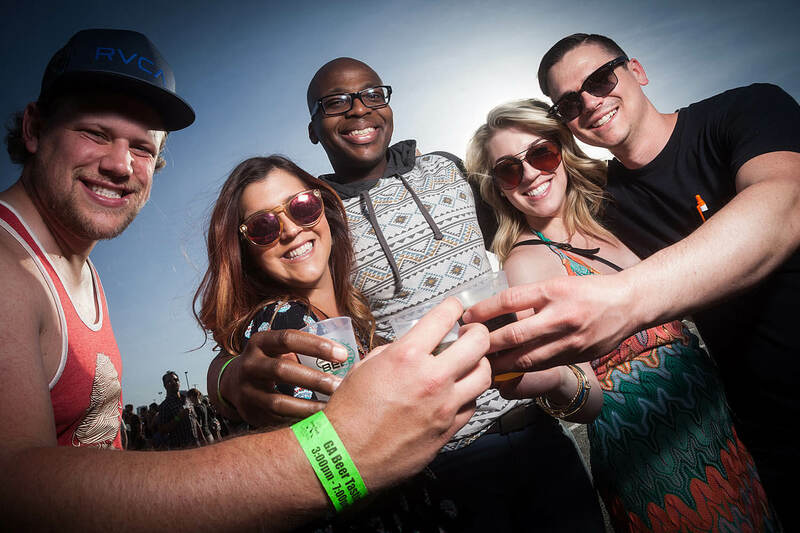 Beer lovers “Get Motley” while sampling from more than 400 brews at the 2015 Great Vegas Festival of Beer. As the sun set upon downtown, VIP guests sampled exclusive beer cocktails from local celebrity mixologist Andrew Pollard and menu items created by celebrity Chef Ben Vaughn’s new restaurant, Southern Kitchen. Adding to the atmosphere were beats created by Las Vegas’ very own Josh Royse and Brumby. 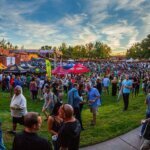 A portion of the proceeds from the event went to the Goodie Two Shoes Foundation and Nevada Craft Brewers Association. 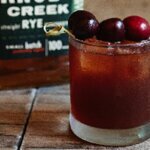 Get the latest news on all Motley Brews events by following on Facebook and Twitter.